The Earth is constantly changing. And, thanks to climate change, which has been exacerbated by humankind’s unsustainable habits, the changes are occurring more rapidly. Recently, part of a beach in Queensland, Australia was swallowed by the ocean following a landslip in the area. The Guardian reports that the “nearshore landslip” took place overnight on Sunday, September 23. 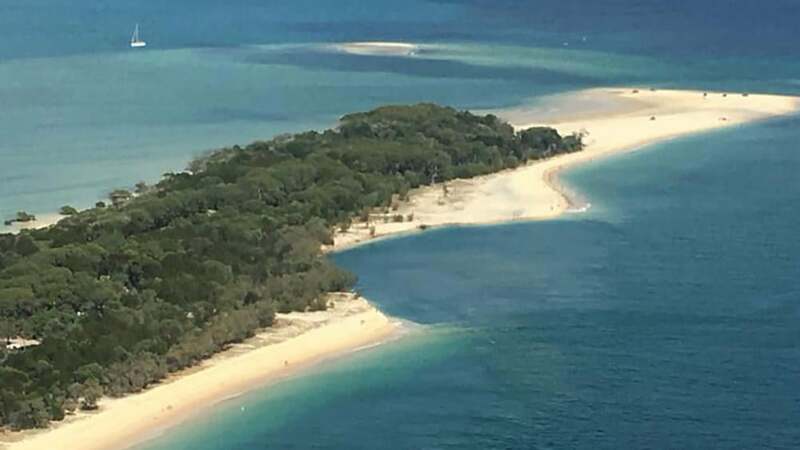 The gap on Rainbow Beach at Inskip Point is believed to be about 200-300 meters (650 to 980 feet) wide and 7.5 meters (25 feet) deep. Fortunately, no one was injured in the event. People have been told to avoid the area following the event, however. After Queensland Parks and Wildlife Service (QPWS) rangers inspected the area, they reported a slight expansion in the hole due to high ride and wave action. Rumors of a second landslip in the area where found to be unfounded — though concern is warranted, as a similar event occurred in 2015. According to Diana Journeaux from Rainbow Beach Helicopters, the hole seemingly appeared overnight. “We fly every day and it wasn’t there yesterday,” she said told the Brisbane Times. But by early Monday morning, the phenomena’s presence was already recognized. This is the third landslip in just a handful of years. The most recent hole is located just a few hundred meters from another landslip which occurred in September 2015. Another hit the region in 2016. As a result, it is more than likely that additional landslips will occur. The nearest campground is approximately 150 meters (490 feet) away from the landslip. Though officials do not think the hole will grow any larger, they are keeping a close eye on the shoreline to ensure the public’s safety.
? How to Make CBD-Infused Dog Treats 8 Signs Of A True Soul Friend ?